Home » Blog » Kitchen » How can I tell if a bucket is food grade? How can I tell if a bucket is food grade? 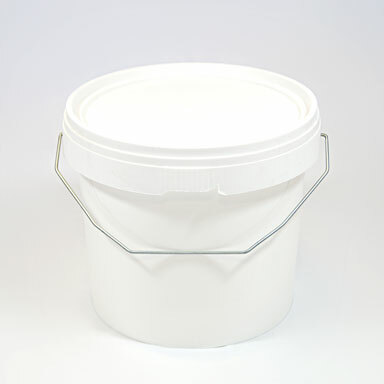 Plastic buckets are cheap and handy in commercial kitchens where foodstuffs need to be delivered, moved around and stored regularly. Where you have high volumes of food, such as a large batch of sauce or a restaurant-supply of grains, plastic buckets with lids are perfect. They are airtight, protecting your products from pollutants, cheap to buy and stackable, meaning you can make the most of valuable commercial space. It is crucial, however, that the plastic buckets you use for food storage are food-grade and suitable for use in your kitchen. So how can you tell if a bucket is food grade? There are some ways that you can find out. Before you buy a bucket, the easiest way to assess whether a product is food grade is to see whether the manufacturer tells you. If they don’t say in a product brochure or on their website, then it is safer to assume that the plastic is not food grade, but you can always ask the manufacturer to make sure. If you already have a bucket and you aren’t sure whether it is food grade then your best bet is to look for an imprinted number on the base of the product. This recycling number tells you what type of plastic the product is made from. Numbers that denote food grade containers are 1, 2, 4 and 5. Buckets printed with a number 2 are made from high-density polyethylene (HDPE). These products are the best for long-term food storage as it is one of the most stable and inert forms of plastic. You should be assured that all plastic buckets sold specifically for storing food will probably be made from HDPE. Those that display the numbers 1, 4, and 5 are alternative types of food grade plastic: PETE, LDPE, and polypropylene (PP) respectively. A snowflake means that the plastic container is ok for freezing foods in. If you aren’t buying a new plastic container or containers, then it is safer to use buckets that have already been used for storing food in. For example, containers of mayonnaise that might have been delivered by your suppliers. If you are reusing old containers though, be wary of cross contamination between food types and implement a similar system that you use for chopping boards.